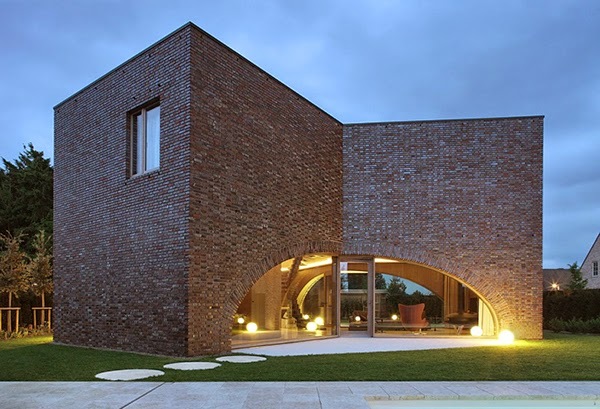 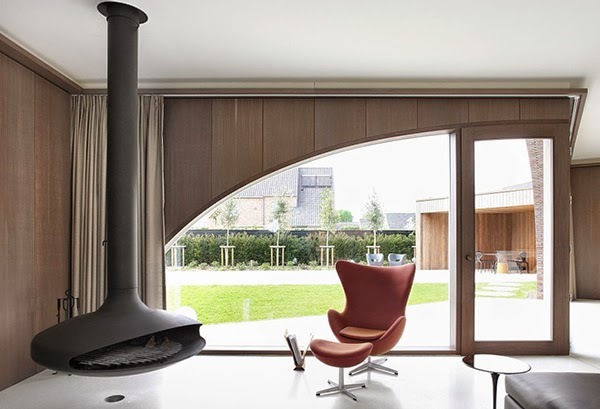 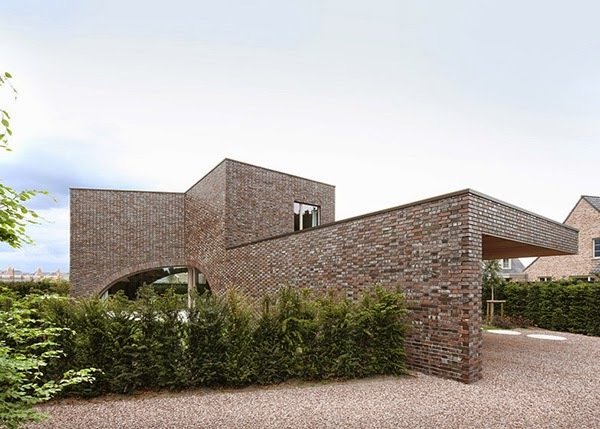 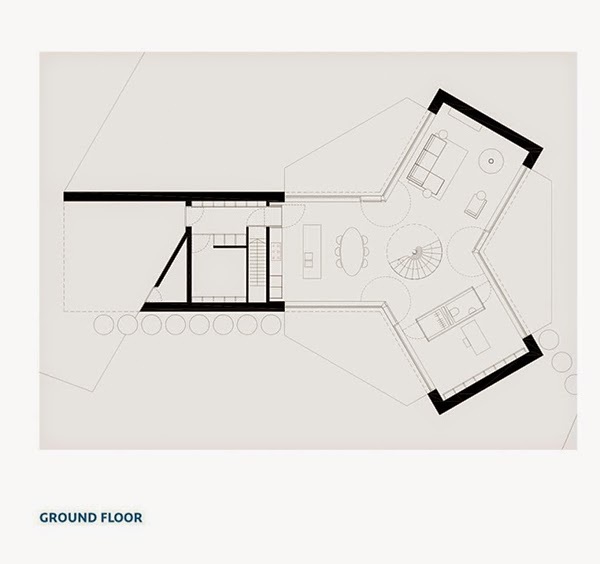 Villa Moerkensheide was designed and built by Dieter De Vos Architecten in De Pinte, Belgium. 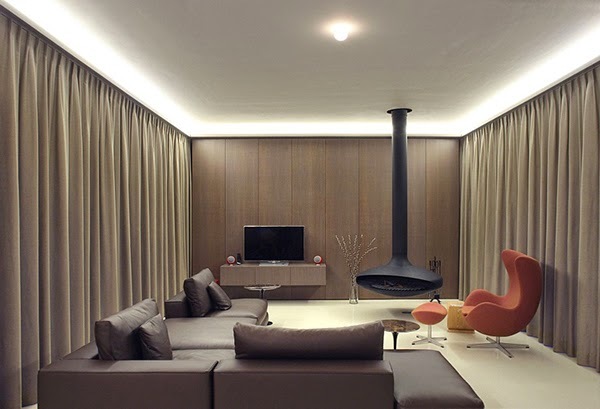 Residence is well organized with a total living space of 306 square meters. The house is perfectly symmetrical as it was built in the center of the plot and was designed as a series of three cubes around an equilateral triangle. 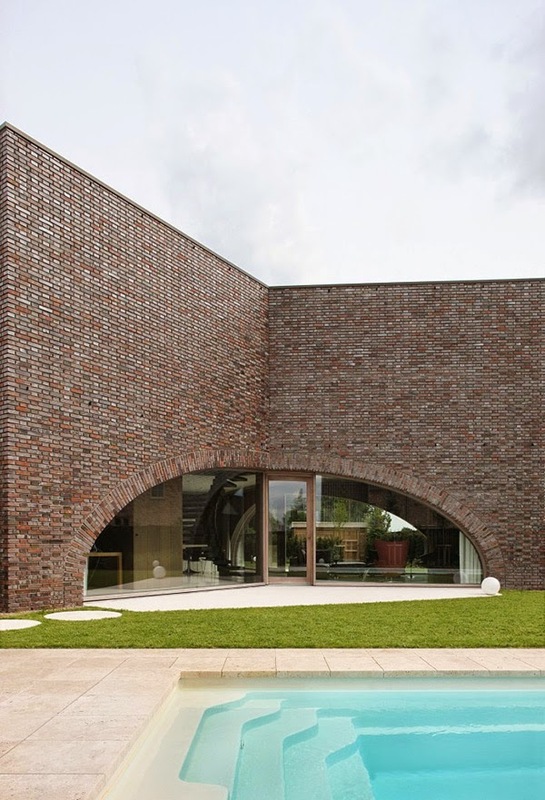 At the center, where the cubes meet, the architects designed three large arched windows which seem to form void at the ground floor. 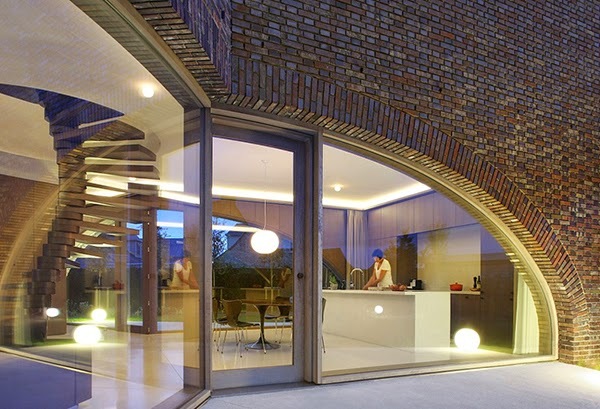 The windows stretch across the walls and reveal the three gardens, each have a glazed central door. 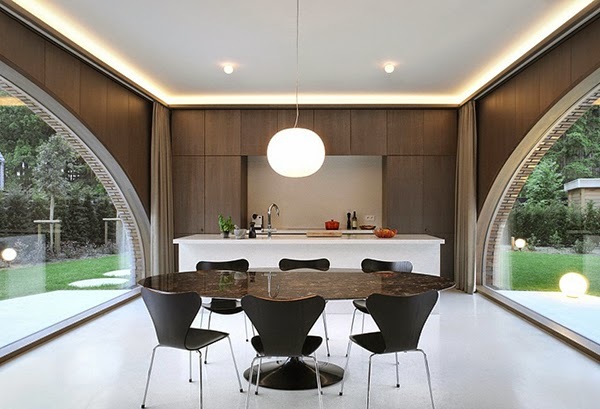 The large arched windows connect the interior spaces with the gardens and also help define the spaces. 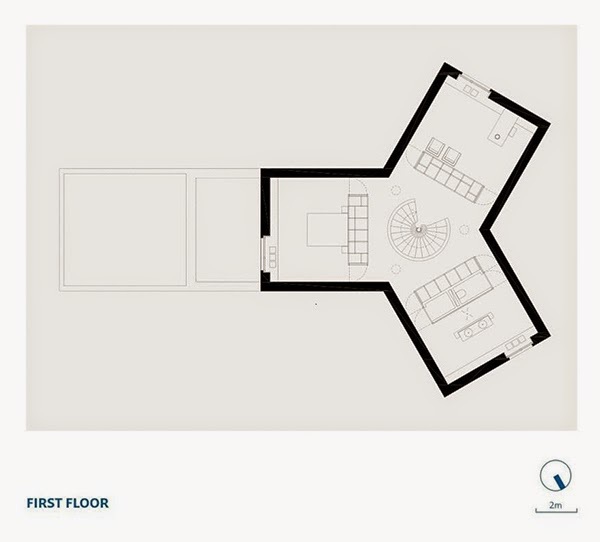 The ground floor houses the dining area, the seating area and the work area. 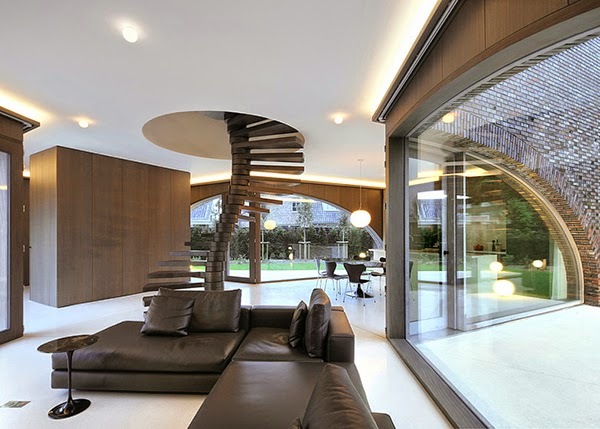 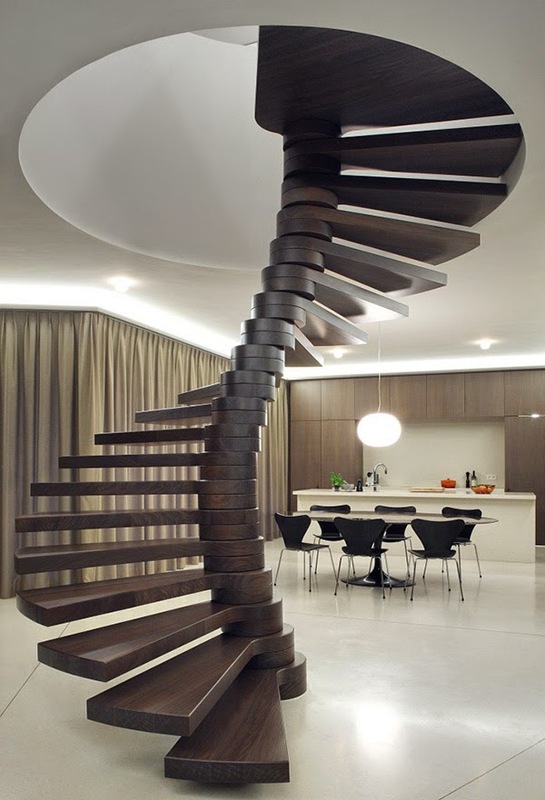 Placed at the center of the ground floor, where the three areas meet, a spiral staircase serves as the main focal point for the entire floor. 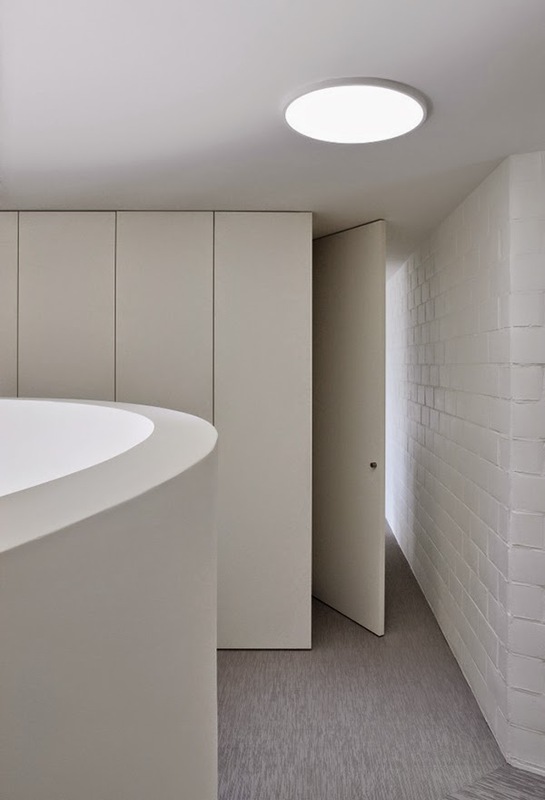 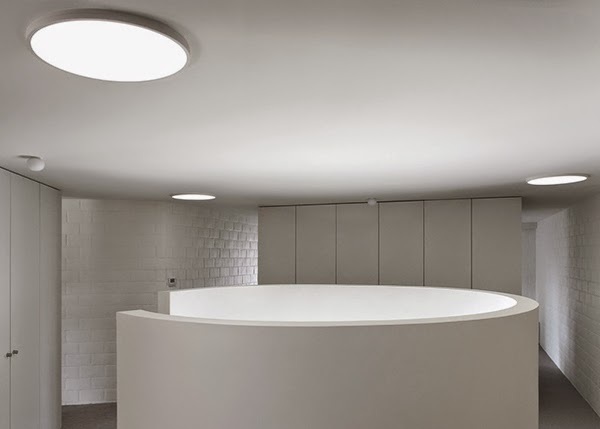 Built around a twisting spine, the staircase disappears through a round opening in the ceiling and leads to the upper floor. 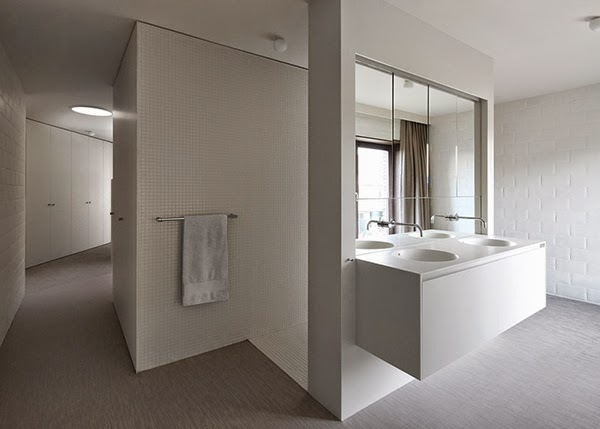 The upper level is a private zone containing spaces such as the bathrooms, hallway, the guest room and bedroom.